AUTEUR ARIEL: Stand Up + thinc. by pinc. Stand Up + thinc. by pinc. Hoodie: c/o thinc. by pinc. This hoodie from thinc. by pinc. 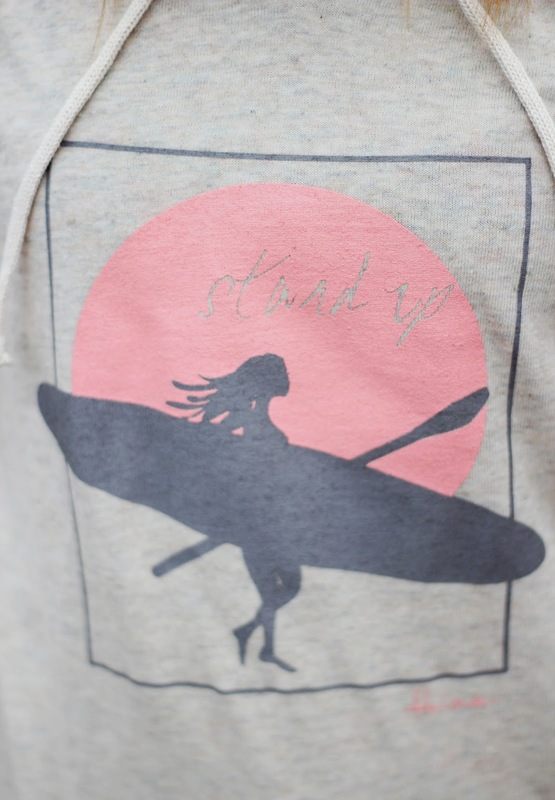 is near and dear to me because it represents one of my favorite hobbies back home: Stand Up Paddleboarding! I may not know how to surf or bodyboard like a true "native" from Hawaii should (I know, I'm a failure), but I'm pretty alright at paddleboarding. I took it up one summer when my friend's family rented a beach house with the ocean right in the backyard! We would spend our days paddling straight out into the open ocean or riding tandem along the reef with the little fishies. Once we even saw a reef shark slyly slip right by us. It was one of those moments where we both spotted it but neither one of us said a word because we didn't want to freak the other person out. haha. Anyway, I love paddleboarding because it's such a calm experience. The combination of the sound of the paddle slicing through the water and the smell of the salty ocean air is so relaxing! Not to mention, it's a bit of a workout! :) I haven't been able to go since last July but I hope to go again this summer either back in Hawaii or somewhere else warm and peaceful. Beside the literal depiction of this awesome and not to mention, extremely cozy, hoodie, I also love the symbolic meaning it stands for. Stand up to people who are knocking you down. Stand up to trials that are weighing you down. 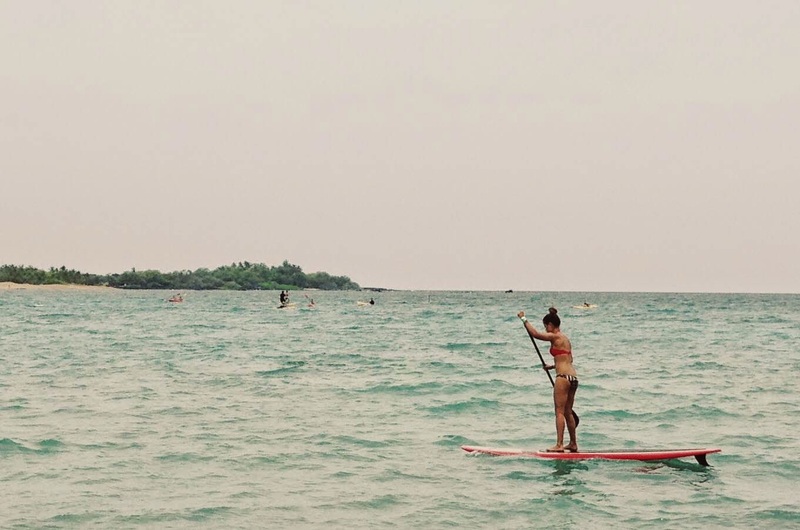 Because life is like paddleboarding. but once you do get the courage to stand up, it's smooth sailing from there. thinc. by pinc. has a number of t-shirts with inspiring messages and unique designs! 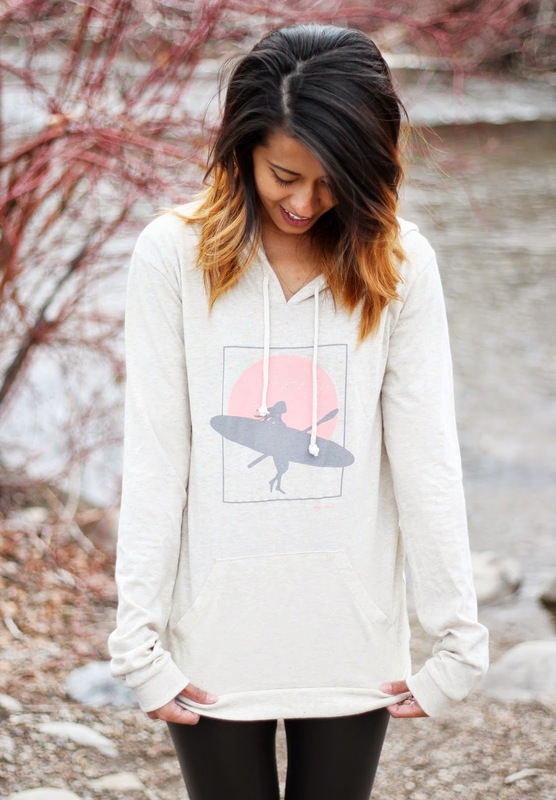 Labels: Aeropostale, Fashion, Giveaway, Paddleboarding, Spring, SWELL, thinc. by pinc. I love the Nevermore T-shirt! I love the Falling in Love tee. I am loving the be you tshirt! I love the FREEDOM tee with the bicycle! The freedom tee with the bicycle on it is too precious! The "falling in love" one is adorable but I also really like the simple "GIVE" one. They are all so cute! I actually like your hoodie the best! Oh, I didn't know you're from Hawaii! I live there now. 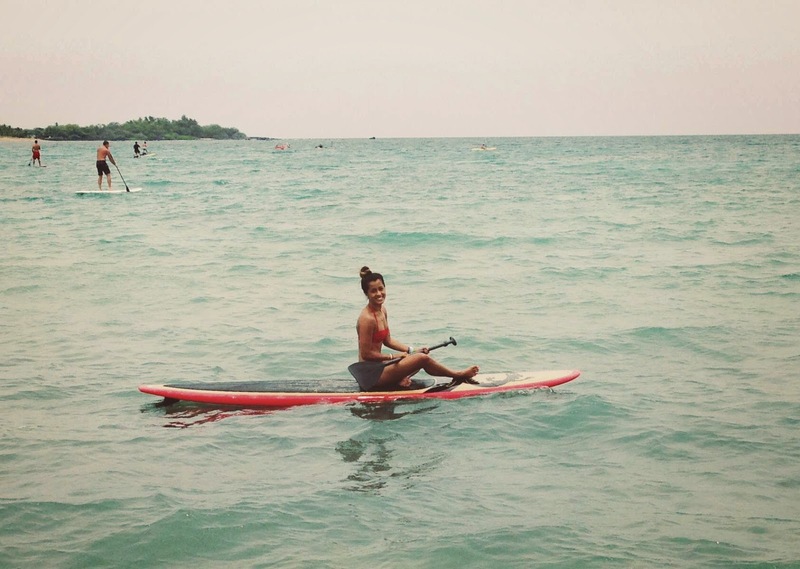 :) I tried paddleboarding once, and it is a work out! I think I've probably said this a million times, but I love love love your style. You are always dressed so effortlessly fresh and chic and I love it! I also love paddle boarding! It's such a relaxing experience! I love the Be You shirt! Love Nevermore and Stand Up! My fav is the Nevermore T-shirt! Love the thinc. by pinc. handprint shirt! My favorite shirt is the women's Be You thinc. by pinc tee. I love the "Feck Perfuction" shirt!! I have vitiligo and I'm far from perfect, but who cares!! Love the leggings and your hair! I like the Freedom tee! I like all of their t shirts but I would probably get the Be You or the one with the ampersand on it. Also I would like to kindly ask that you follow me back on twitter. According to twitters rules I can't follow anyone else until I have more followers. My username is ReidsrdP. Thank you so much. This is an adorable hoodie! I definitely want one now! Became a SUP fan last summer where I first tried in Tahoe and then again in Hawaii! Been hooked every since! I like the Nevermore shirt. The colors and art on it are nice. I would choose the Nevermore T-shirt!